Superdry women's Japan Edition Summit down jacket. Wrap up for the colder months in this down filled jacket. Featuring a drawstring hood, a zip fastening and two front zipped pockets. This jacket also features hook and loop adjustable cuffs with an inner layer with thumbholes. This coat also features Superdry logos on the zips, sleeves and hood. 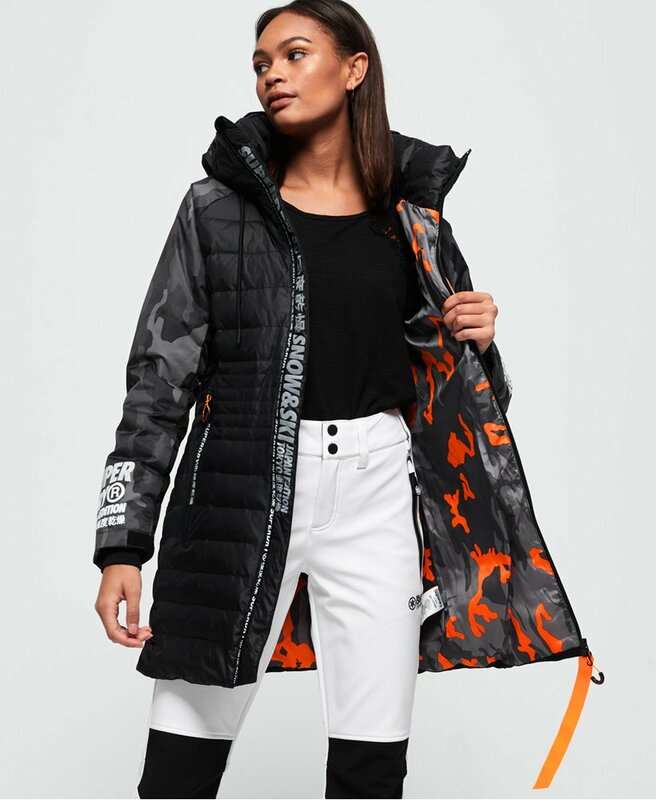 The Japan Edition Summit down jacket is completed with reflective Superdry logos on the inside of the zip.